Commercial mergers and acquisitions are often somewhat of a lengthy procedure, carried out in boardrooms and the concluded with the handover of the agreed purchase amount in a recognizable major currency, usually US Dollars, by sombre-suited corporate accountants. Not so in the case of the recently purchased Gambling site SatoshiDice, which sold yesterday for 126,315 Bitcoins, which at current exchange rates equates to approximately $11.5 million. SatoshiDice is a blockchain-based betting game which is the self-proclaimed most popular Bitcoin betting game internationally, and was launched in 2012 by Erik Voorhees, a regular figure among Bitcoin circles, and occasional speaker at Bitcoin events. A particular point of interest here among the digital currency community is that this is the very first major acquisition of a company in the Bitcoin space. What else is unusual is that the company was bought with Bitcoin, not US dollars or another fiat currency which no doubt would instill fear into accountants the length and breadth of the land. The sale price works out at 0.00126315 BTC per share ($0.12), however, Voorhees said “for the good of the MPEx holders and for the sake of the general Bitcoin community, which the site always has intended to support and nurture,” SatoshiDice will pay MPEx holders an extra 0.00223685 BTC ($0.2) per share, which brings the total to 0.0035 BTC ($0.32) per share. On top of the price per share being paid out, a small amount will be added to compensate users for the BTC that were deducted to fund development of the website. Responses on bitcointalk to the announcement have been varied, with some forum members supporting Voorhees and others criticizing the move. This milestone transaction was not without dissent, however. “If it has gone to one of the major players in the gaming industry and they’re looking to expand beyond the SatoshiDice model, that would be positive for bitcoin as it would give it greater exposure to people who don’t currently know about it,” opined Mr. Bridge. He went on to say that he is surprised that a lot of the major operators in the gaming space haven’t jumped on the “Bitcoin bandwagon” already, for example by adding it as a method of funding accounts. 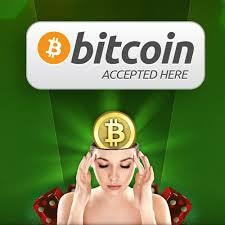 “There are no transaction fees, it’s irreversible, it’s just perfect for the online gaming industry,” he added. Darragh Browne, founder of Blockspin, added his opinion on the effect of the sale, stating that it really depends on whether shareholders want to cash out to fiat, or reinvest their windfall in the Bitcoin economy. “We have already seen the price drop a little today, but I’d imagine that is mainly due to speculation. The fact that there are still reports of Mt. Gox’s on-going problems processing fiat wire transfers is a slightly larger concern for bitcoin prices than SatoshiDice shareholders cashing out,” he added. Mr. Browne said there is a possibility investors in SatoshiDice may now look to re-invest their windfall in other assets, such as bitcoin securities like ASICMiner shares. “We could see a bump in share prices on Bitfunder, BTCT.co and Litecoin Global, and it’s worth watching the price of alternative cryptocurrencies such as Litecoin, PPCoin, Namecoin and Primecoin,” he concluded.